At HOUSEplay, our goal is to inspire and enhance the beauty, comfort, and function of a home. We are careful not to dictate style to our clients. A diversity of design ensures that we realize each client's ideal living environment. People have opinions, tastes, and needs, but sometimes have trouble articulating what they want. This is where HOUSEplay comes in. Our job is to discover what those needs and desires are and translate them, creating a home that befits our clients' lifestyle in both function and aesthetics, through the use of different textiles and textures, colors, furniture, accessories, and most importantly, a good space plan. HOUSEplay was founded by Carrie Fundingsland in 2001. Carrie grew up in western Montana and studied Art History at the University of Montana and Interior Design at the Art Institute of Seattle. After graduating from the Art Institute in 1995, she began her career in the textile industry. Working in textiles gave her an understanding and a passion for fabrics. In 1999, Carrie moved to Los Angeles where she headed the Interior Design Department at a well-known Melrose Avenue antique and custom furniture store. 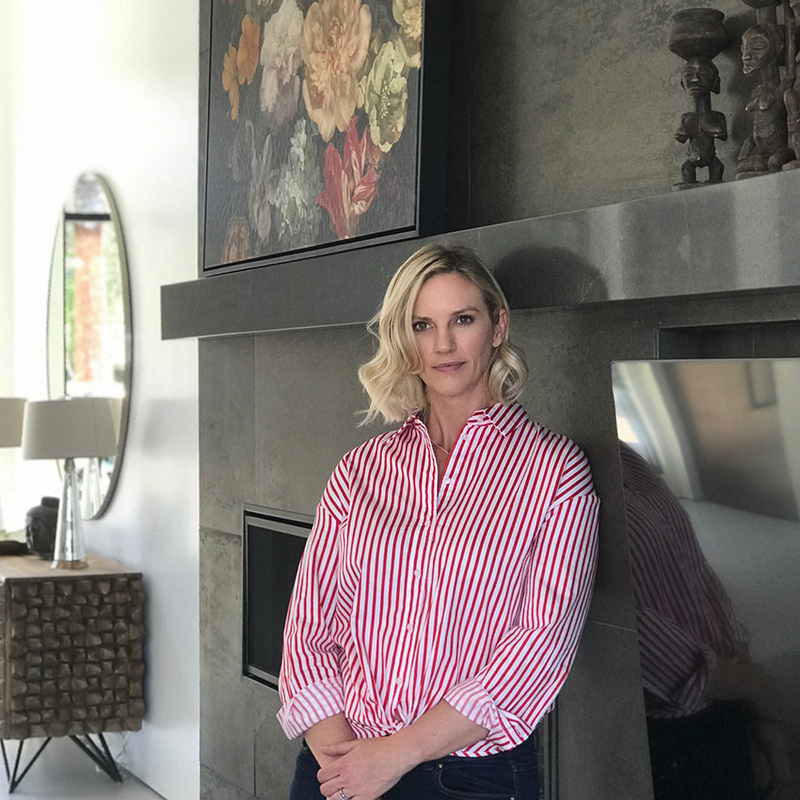 Spurred by the upcoming birth of her first daughter, she decided to go out on her own and start her own design firm, HOUSEplay Interior Design. As a designer, Carrie has worked on projects all over the world. Most clients hire her to do their offices and retail spaces, vacation/secondary homes, and ground-up residences. Carrie has worked on projects in a variety of locations including Montana, Park City, Los Angeles, Palm Springs, Tel Aviv, and Shanghai. Her client list is long and varied, from writers to lawyers, entrepreneurs to producers and celebrities.